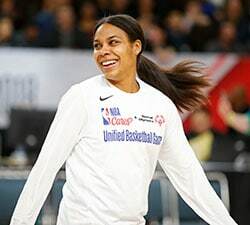 WNBA.com’s Power Rankings, released every Tuesday during the season, are the opinion of this writer and do not reflect the views of the WNBA or its clubs. 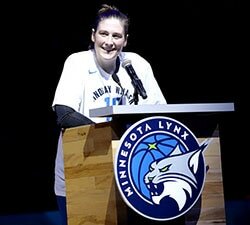 Note to self: When the 2018 WNBA season tips off next May, just put the Minnesota Lynx at the top of the standings. They own this month. With an 80-66 win over San Antonio on Sunday, the Lynx improved to a league-best 6-0 on the season and won their 23rd straight game in the month of May – a streak that dates back to 2012. The 23 straight wins in a single month spanning multiple seasons ties the mark set by the L.A. Sparks, who won 23 straight games in July from 2002 to 2002, including the single-month record of 14 in 2000. Of course, since Minnesota’s May streak began back in 2012, the Lynx have been pretty good in just about every month, so we shouldn’t expect the success to come to a screeching halt now that the calendar flips to the month of June. Just last season, the Lynx went 6-0 in May and then won their first seven games of June to set the WNBA record for the best start in league history (13-0). Since 2012, the Lynx are 35-13 (.729) in June, so they may keep a hold of the top spot in the power rankings for a while. Through six games, the numbers being put up by Sylvia Fowles are staggering. She ranks sixth in points (20.0), second in rebounding (10.7) steals (2.0), blocks (2.33) and field goal percentage (61.1%). And she’s doing all of this in under 30 minutes per game. The defending champs dropped a pair of road games this week by a combined five points. Los Angeles continues to lead the league in offensive efficiency (113.0 points/100 possessions), but their defensive rating (107.3) is 10 points higher than they had during their championship run last year (97.3). The Storm picked up a pair of home wins over East opponents this week with record-setting performances from players not listed at the top of the marquee. On Friday it was rookie Sami Whitcomb, who set a WNBA record with six 3-pointers in the second half of Seattle’s win over New York. That was followed by Alysha Clark setting a Storm franchise record for most field goals made without a miss (nine) as she finished 9-10 for 22 points in Seattle’s win over Indiana. The Mercury own the league’s top defense by a wide margin: their 84.4 DefRtg is six points better than second-ranked Minnesota. Opponents are shooting just 37.0 percent from the field and 19.2 percent from 3-point range against Phoenix as the Mercury allow just 67.2 points per game (over nine points fewer than any other team). If the Mercury are able to find more consistency on offense – they have scored as few as 58 points and as many as 107 points through the first five games – they’ll be flat-out scary. This week brought Washington two matchups with the Chicago Sky as Elena Delle Donne faced her former team for the first times since being traded to Washington in the offseason. 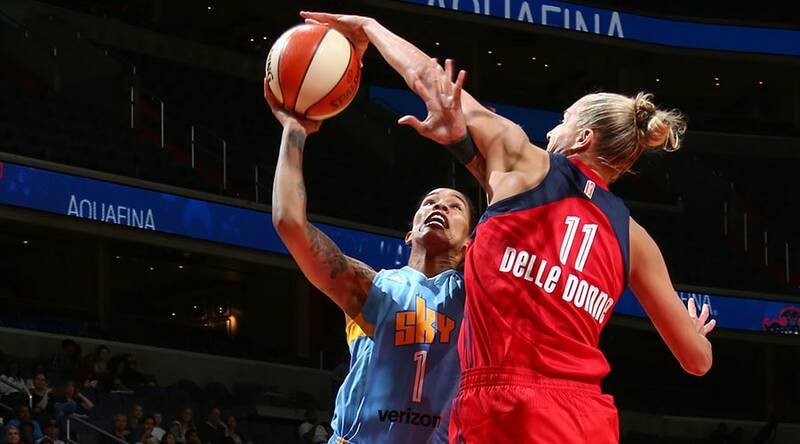 The result was a pair of wins for Washington with Delle Donne scoring 20 or more in both games. The Mystics have already gotten Delle Donne’s return to Chicago and Kristi Toliver’s return to Los Angeles out of the way as they look to toward the future. 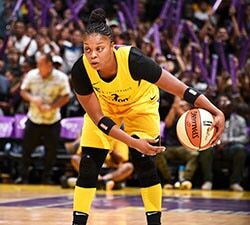 The Dream were the only WNBA team to only play a single game this week as Tiffany Hayes scored 24 points to lead the Dream past the defending champion Sparks in Atlanta. So much for that scary moment last week when Hayes tweaked her ankle and had to be helped off the court. The sixth-year guard is averaging a career-best 20.8 points per game, which ranks fourth in the league. In that same game against L.A., Layshia Clarendon dished out a career-best 12 assists, upping her season average to a third-ranked 7.5 per game. After splitting a pair of road games this week – a two-point win over Phoenix thanks to Epiphanny Prince’s game-winning jumper, and a six-point loss to Seattle as the Liberty were outscored 22-11 in the fourth quarter – the Liberty are back home for five straight games at Madison Square Garden. That home-stand begins tonight against the defending champion Sparks, who are looking to snap a two-game skid. After playing three of their first four games on the road, the Wings are back at home on Tuesday for a matchup with the Indiana Fever. The Wings will look to put Saturday’s 42-point loss to Phoenix in the rear-view mirror as quickly as possible. After being outscored 61-29 in the second half by the team with the league’s top defense, the Wings host a Fever team with league’s lowest-rated defense. This past week got off to a great start with the Fever rallying to take down the defending champion Sparks 93-90 in front of their home fans. 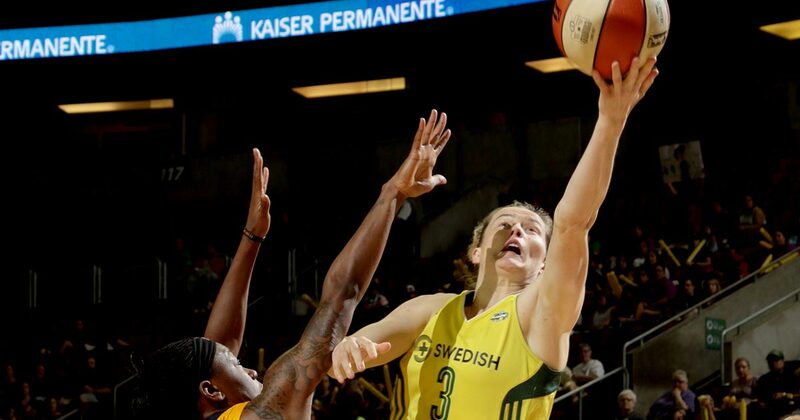 But it was a different story in Seattle on Saturday as the Storm outscored the Fever 51-33 in the middle two quarters and cruised to a 24-point win. The loss dropped the Fever to 0-3 on the road this season. Indiana has one more road game – Tuesday in Dallas – before opening a three-game home-stand with that same Wings squad on Saturday. Jonquel Jones became just the 13th player in WNBA history to record a 20-20 game as she finished with 23 points and 21 rebounds – both career-highs – in Connecticut’s win over Chicago on Sunday. Jones has done an admirable job in filling the shoes of Chiney Ogwumike, who is out for the season with an Achilles’ injury. The win over Chicago snapped a four-game losing streak to open the season. While the Sun have a 1-4 record, their point differential per 100 possession (-2.3) remains in the middle of the pack. Of their four losses, three have come by seven points or less, including two-point road losses to Indiana and Minnesota, respectively. The Sky went 0-3 this week, including a pair of losses to former franchise star Elena Delle Donne, who returned to Chicago for the first time since joining the Washington Mystics. The 1-5 Sky have only one game this week – Thursday vs. Phoenix at home – which should give them ample practice time to improve the league’s lowest-rated offense. 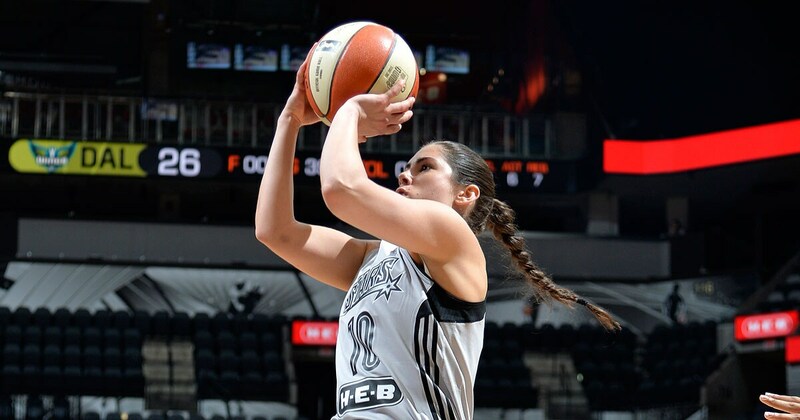 The good news is that this year’s top draft pick – Kelsey Plum – is finally on the court for the Stars. The bad news is that she’s only averaged nine minutes per game through two games since making her debut on Thursday. It makes sense for the Stars to ease Plum into the season rather than risk aggravating her ankle injury. However, that means we’ll have to wait a little longer to see how this young team fits together on the court.